*What cost $69.00 in 1921 would cost $872.00 in 2011! "This is KDKA, of the Westinghouse Electric and Manufacturing Company, in East Pittsburgh, Pennsylvania. We shall now broadcast the election returns." Thus began commercial radio, the purpose of which was to make money selling radios. 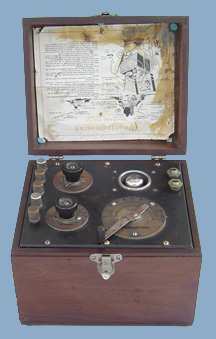 This is a radio that was present at the very beginning of the radio revolution. 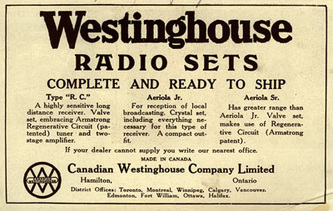 Although experimental radio broadcasting and home built receivers had existed for many years before, 1921 was the year that radio started down the road to commercial success. 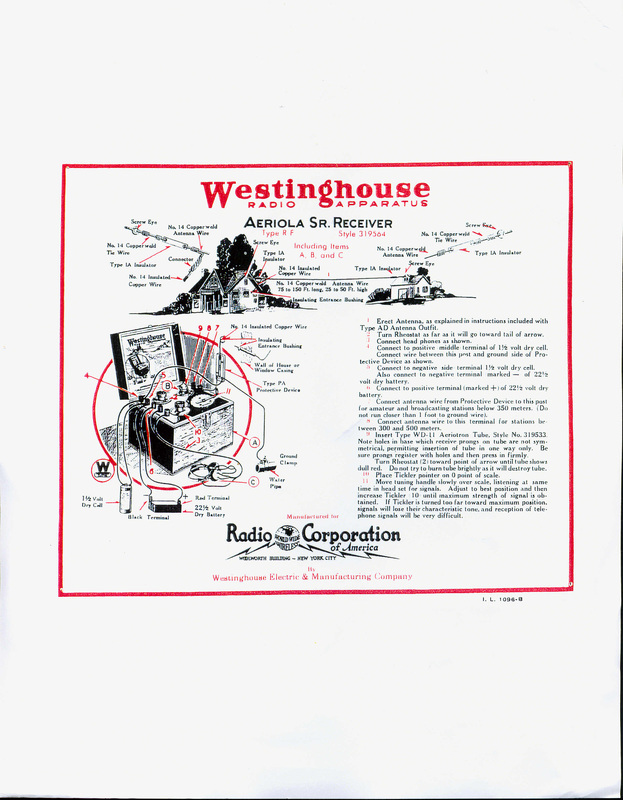 In November of 1920 Westinghouse began station KDKA, at least partly as a marketing tool to sell radios. In 1921 they marketed the first factory built radio, a crystal set called the Aeriola Jr.. Later that year the 1 tube Aeriola Sr. was introduced. These sets opened up radio to people who did not wish to build their own receivers. 1886: George Westinghouse (1846-1914) founds the Westinghouse Electric Co. which produced various products from steam engines to railroad air brakes. In 1893 he illuminated the Chicago World's Fair with 250,000 electric lights - the most dazzling installation of its time. 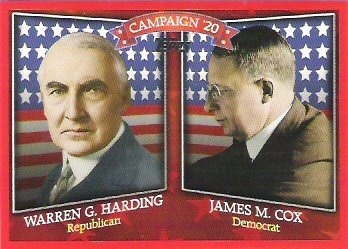 In 1920 Westinghouse started radio station KDKA (Pittsburgh) and schedules the first commercial radio broadcast—the Harding-Cox presidential election results. In 1921 Westinghouse begins manufacturing the first factory built radio receivers for home use (Aeriola Jr.) and later that year the Aeriola Sr.